Mr. Hiroya Tanaka, founder of Fablab Japan Network and co-founder of FabLab Kamakura, introduced about Fablabs in Japan. Its number grew from 1 to 12 in 5 years counting from 2009. Ms. Youka Watanabe, the other FabLab Kamakura co-founder, said that their focus is on community, people and local materials. Fablab Shanghai is founded by College of Design and Innovation, Tongji University. It does most things related to architecture. Many great designs came out from the lab, we can see. 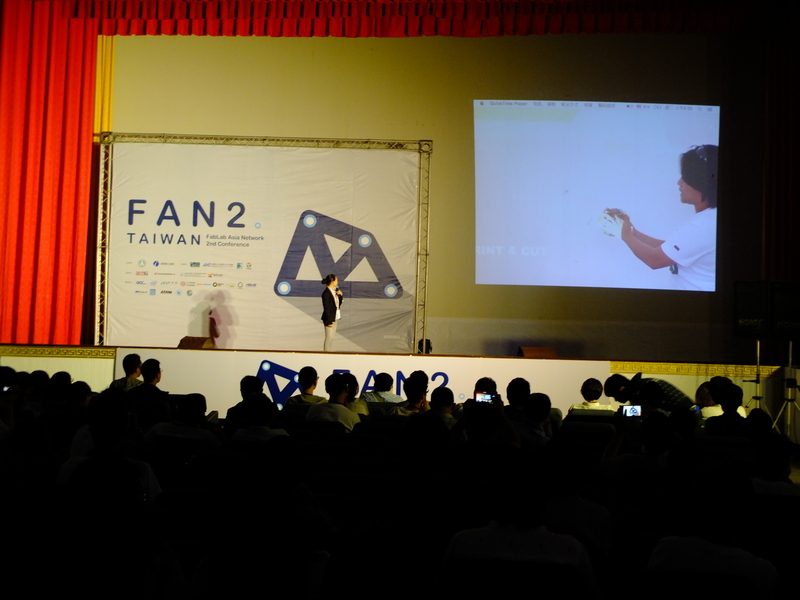 There were also talks by FabLab Miriam College (scheduled to open in early 2016) and FabLab DongGuan. They haven’t launched the lab yet but they have enthusiasm to open one soon. For your information, DongGuan is a small city near Shenzhen, known as the Silicon Valley of hardwares. The lab review section ended at 11:30, followed by Professor Benson Yeh’s keynote speech about “Gamification for Education”. 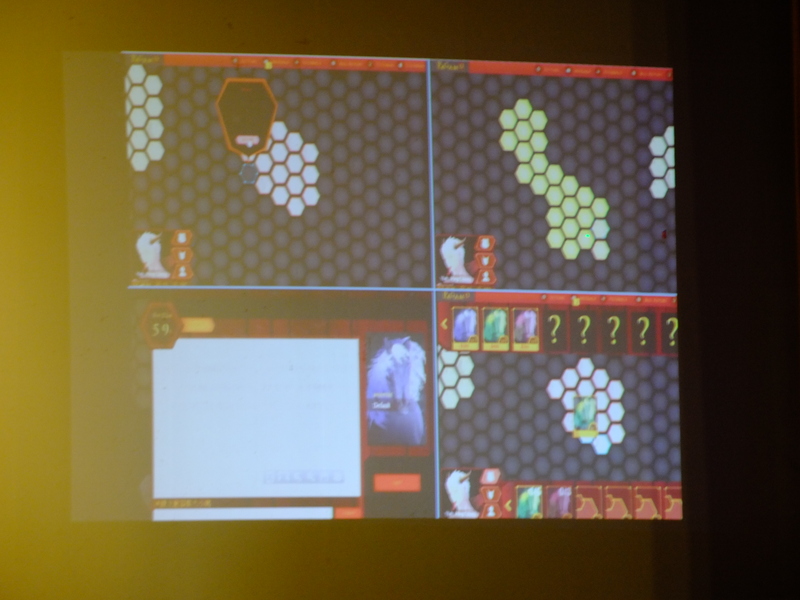 Prof. Yeh shared his experience creating a game called PaGamO to facilitate the first Coursera course in Chinese. For its massive popularity and success, the game-based course platform was given the Grand Prize of Wharton-QS Stars Awards 2014: Reimagine Education and is now well recognized by many schools and universities around the world. Head to their website https://official.pagamo.com.tw/ to know more. When playing PaGamO, students need to solve a course problem, in order to claim more land. We had lunch at 12:30pm to 2:00pm. For the rest of the afternoon, we were given a chance to attend workshops conducted by various Fablabs. One of them was about learning to use Fabble.cc, a brandnew platform made by Fablab Kamakura for members of the Fablab network to share their projects. This platform is aimed at facilitating knowledge transfer from one Fablab to another.